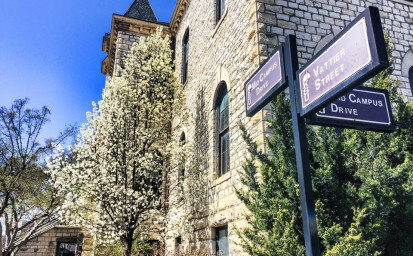 Mary Vanier, Manhattan, has given a gift of $1 million to Kansas State University to create at least 30 matching gift scholarships as part of the K-State Family Scholarship Program. This program is an initiative of the Kansas State University Foundation to increase scholarship dollars to help the university attract and retain students and to inspire new donors to invest in student success. The Mary L. Vanier K-State Family Scholarship will be used to match at least 30 new gifts for scholarships. New gifts of $30,000 will be matched with $30,000 from Vanier’s gift, while $10,000 will go into an expendable scholarship fund, making $2,000 scholarships immediately available to students. New gifts of $30,000 will be matched with $30,000 from Vanier’s gift, while $10,000 will go into an expendable scholarship fund, making $2,000 scholarships immediately available to students. Fifty thousand dollars will go into the endowment, ensuring future generations of Wildcats will receive scholarships as well. The program’s goal is to widen the philanthropic support base for Kansas State University by inspiring new donors to give while creating scholarships necessary to help students attend the university today and in the future. “I hope this inspires those who have thought about setting up a scholarship but haven’t because they couldn’t meet the minimum endowment requirement,” Vanier said. “It’s going to take all of us to support K-State, and this program offers a wonderful way to get involved. With this match program, our newest donors can make a significant impact on students right away. The K-State Family Scholarship Program is looking to expand.